The first TechRadar Phone Awards took place in the awesome Ticketmaster Offices in London tonight – complete with slide – and a packed room saw some of the biggest names being rewarded for their impressive efforts. Poor attempts at humour from Phones and Tablets Editor Gareth Beavis and Editor in Chief Patrick Goss aside, a great time was had by all – especially the winners. "The Qualcomm Snapdragon 801 System on a chip has changed the game in the mobile phone space, be it through power upgrades, better graphics or most importantly, more battery life for our phones." This category speaks for itself: the app that either brought the best innovation, design, user experience or game-changing element to the mobile landscape - and it was Spotify which won the judge's hearts on the night. Our judges said: "Spotify is fast becoming the de facto music service for any smartphone or tablet user, and the recent UI update has made things even cleaner and easier to use." With so many affordable tablets available today this category looks beyond the spec and works out which slate offers the best value for money under £200 and our judges agreed that the Google Nexus 7 (2013) tops the bill. "Pound for pound, the Nexus 7 brings stunning specs and follows on brilliantly from the original disruptive tablet that changed the budget market." This category was really tough as the budget mobile market has exploded over the past 12 months with a vast array of excellent smartphones available for under £200. "People are still wondering how the Moto G packs in so many great specs at a low price. The judges liked the fact it now comes in 4G and with a memory card slot, giving the users choice to get what they want." Quite obviously this category celebrates the tablet that impressed the judges the most, taking into account style, power, price and build quality and this year it was the iPad Air from Apple which stole the show. "The most unanimous award among the judges, the iPad Air is still streets ahead of its rivals, with an amazing design, slick functionality – and backed by one of the best app collections out there." 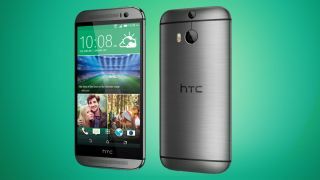 And finally, the big prize of the night went to the excellent HTC One M8, which fought off a fantastic array of handsets to be crowned as the best phone. The judges looked for the handset they thought was most powerful, well-designed, impressive, and most importantly, offering a brilliant experience for the user. The judges lauded it for having the 'best build quality', 'great design', 'packed with simple innovation', and just being a really, really good phone to have in your pocket.